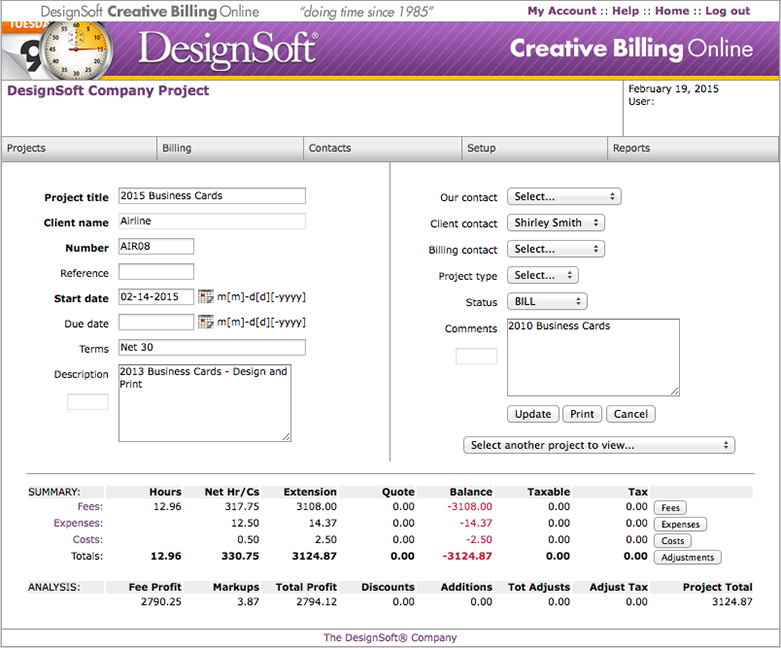 Online project time & expense billing. All your employees can use the system from any machine, any platform, at the same time! 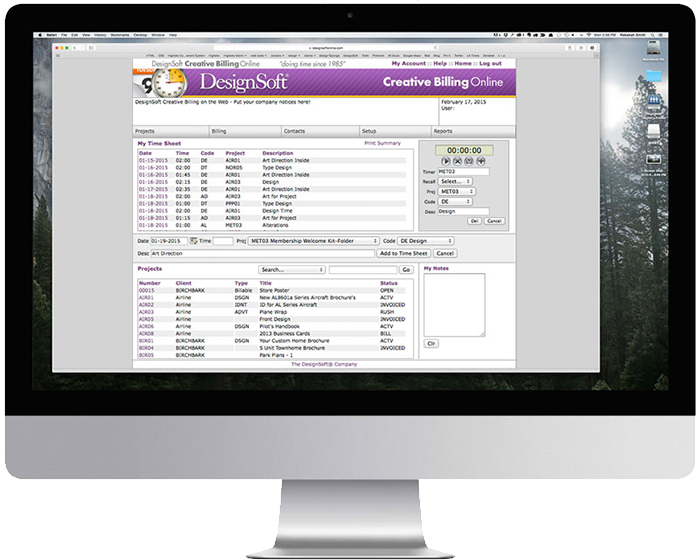 As a multiuser online time sheet & billing application, it runs right in your employee's browser (currently Internet Explorer, Safari, FireFox, and Chrome). This means it's compatible with Macs, PCs, and even Linux machines and it can be accessed by any number of your established employee users, from any location in the world, at any time. It is secure, and never needs to be installed, updated, or backed up—we do it all for you. And for all this convenience and power to make your business more profitable and more accountable, you simply pay a small monthly charge. Up to 50 users included at no extra charge! 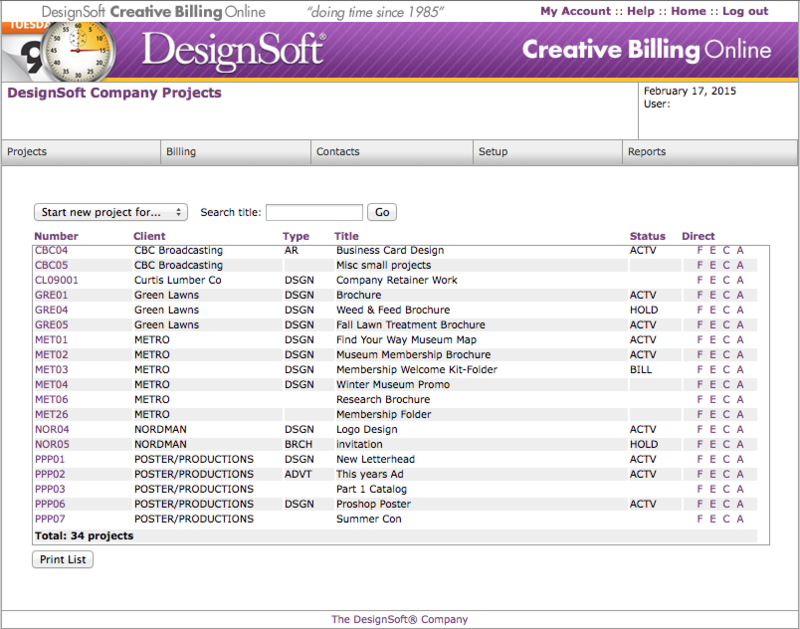 Designsoft Creative Billing Online subscription software allows multiple users (includes up to 50 users at no extra charge, additional users optional) to define specific projects, add related billable time and expenses to support the whole process through invoicing and payment. 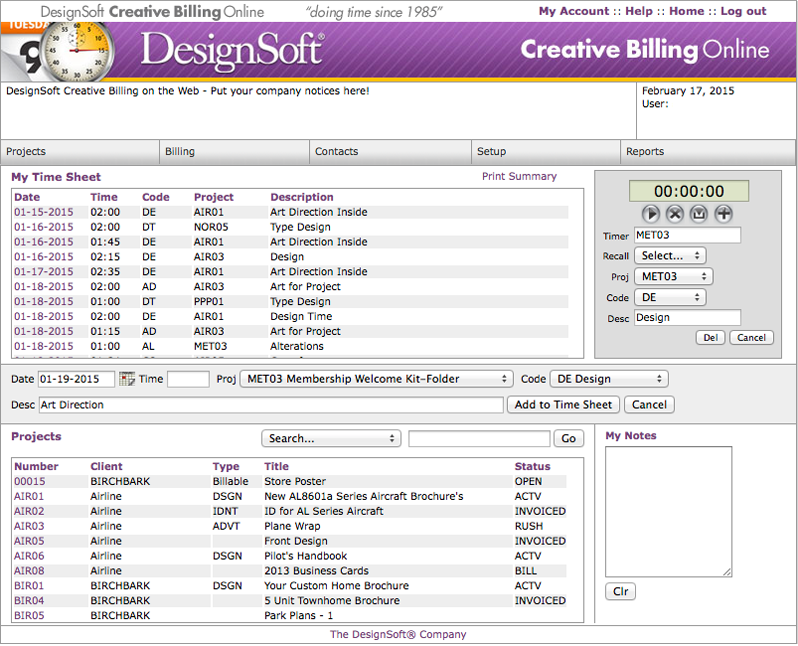 Creative Billing Online also comes with an individual stopwatch and time sheet home page for each employee, a contact database, simple or complete custom control invoicing, simple accounting functions, and exporting capabilities. Simple user group assignment IDs allow limited or full access to all or some of the features for each individual user. Quick entry screens for those who "hate waiting"
Invoices and quotes can be output right to the screen as HTML for printing or creating PDFs*, or in a downloadable XML or tab-delimited file for import into Adobe InDesign, Quark Xpress, or Microsoft Word.